About a Ductless System for Your Home? 2014 was one of Seattle’s, Kent's and all of King County's warmest summers on record, and 2015 is shaping up to be even hotter. Are you thinking that it might finally be time to start considering adding an air conditioning unit to your home? Maybe you should consider a ductless mini-split heat pump system instead? Most home owners are aware that traditional AC systems need to have proper duct work installed to run efficiently. In older homes this can become very costly, very quickly. However, a ductless system is able to overcome this concern because there is no ductwork to be installed. 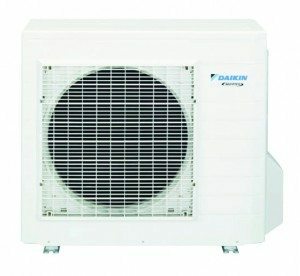 A ductless system provides a home owner with one outdoor unit tha t can regulate areas of a home easily and seamlessly. These units provide comfort and save the home owner money in the process. With the cost of utilities ever increasing, a ductless heat pump can help cut heating and cooling bills dramatically. And a ductless system doesn’t only cool your home, but it can also heat your home as well. Other things to consider when purchasing a ductless system versus a traditional AC is that these units are much quieter in the homes, installation is much quicker, indoor air circulation will have less dust, and there are a number of incentives and rebates. Incentives from organizations such as www.goingductless.com can be up to $1,500. Another advantage of a ductless mini-split air conditioner is their small size and flexibility for zoning, heating, or cooling to individual rooms. Home owners can even have dual zone ductless systems with multiple indoor units connected to one outdoor unit. Because each indoor unit has individual thermostats, only the area where someone is present needs to be conditioned, saving additional energy and money. Even though window air conditioners can be Energy Star Rated and efficient in their own right, they are only a short term solution to the summer heat. 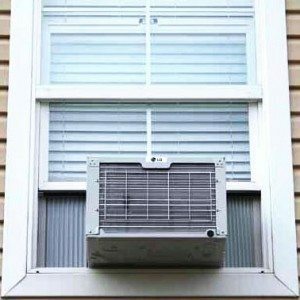 While they are relatively inexpensive to purchase and install, window air conditioners mostly only serve a single room. Depending on how and when a home was built, running one unit doesn’t offer realistic solutions. More often than not, one household will need several window units to keep all members of the family happy and the home temperate. To the professionals, this signals red flags, and the professionals also know that a ductless system is a better and safer way to cool a home. Window units usually have sliding accordion-like wings that help block out outside air and ensure the unit stays in place. That’s why thieves love window units! All it takes to break into a home is pushing the window unit into the home and thieves have a wide open, free admission ticket. A ductless system runs a line set from the outdoor unit to the inside of the home. This line set cannot be kicked-in or used by thieves to access the home. If you’re thinking that your home is getting unseasonably uncomfortable this summer, then consider adding a ductless system and turning a home into a comfortable castle. Remember to think out of the box and talk to the heating and cooling professionals at Fox Plumbing & Heating to see how they can give you the home comfort you deserve! Professional, licensed and bonded heating professionals are trained to understand how to cool your entire home, and Fox has some of the best professionals in all of King County for home cooling and comfort needs. The professionals at Fox Plumbing & Heating are here to ensure that your home comfort is out #1 concern.